This book defines and integrates the various physicochemical properties of liquid mixtures in a variety of liquid solvents such as polar, nonpolar, aprotic polar and protic polar with chemical additives like surfactants, amino acids, proteins, salts dendrimers, and polymers--and under several variable experimental conditions like temperature and pressure. It covers viscosities, surface tension, interfacial tension, surface energy, activation energy, kinetics energy of viscous flow, density, apparent molar volumes, Gibbs free energy and the Ludwig Boltzmann distribution energy factors. 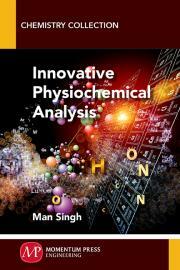 This new, integrated understanding has important applications in pharmaceutical research, and biochemical engineering. Moreover, it is critical for the chemical sciences in general, especially solutions chemistry and thermodynamics and kinetics of materials. Prof. Man Singh has developed fundamental understanding of physicochemical properties of various molecular liquid mixtures of dendrimers, proteins, polymers, resin, salt systems and surfactants. He has established a new area of research noted as Molecular Interaction Engineering most relevant and applied in nanoemulsion, green chemistry, solution chemistry, thermodynamics of structured and non-structured liquid mixtures.